Vail Valley Medical Center offers Baby & Me every Wednesday at 2 p.m. in the Shaw Building in Edwards. 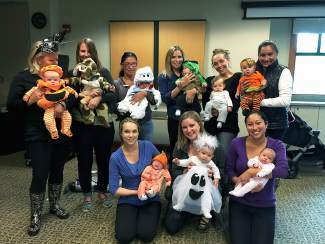 Please join Paisley Frischholz, RN,IBCLC, these lovely mommies and their beautiful babies for some fun and entertainment! We look forward to seeing you! Have a very happy Halloween!